When it comes to a retirement savings plan, not everyone sees eye to eye. Probably because saving for retirement is really hard, just ask the 50% of Americans who don’t have nearly enough in the bank for smooth sailing into their golden years. 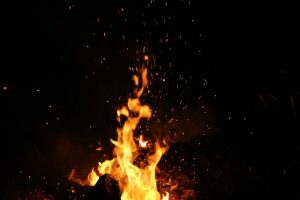 Savings strategies come in many forms and the one taking center stage (or burning it down rather) is the FIRE movement. FIRE stands for financially independent retire early. This movement is taking the financial world by storm, and it’s no wonder with incredible tales of people retiring by 40 with smiling faces and money to spare. While the idea of retiring early is a popular one, especially among physicians, what are the costs of such a radical strategy? How does the FIRE movement truly operate and why is there such a fervent following? I’m ready for some answers, are you? Financial independence is a wonderful goal, something that we should all aspire to. The FI piece to this movement encourages people to take control of their finances and forge a path forward. This message is inspiring and one that can be applied to many retirement strategies. But it’s the RE piece of the puzzle that gets most of the buzz. Retiring early in order to pursue passion projects and spend your time in the way you like is incredibly appealing. The movement encourages early retirement in order to avoid burnout and overworking, an increasing problem for those in the medical field. Retiring early, however, does not come without a cost. FIRE is built on the idea that if you save a majority of your income you will be able to have enough money to retire early. Built on the concept of extreme frugality, FIRE participants save as much as they can and spend as little as possible in order to grow their accounts to retire early. The Wall Street Journal article, “The New Retirement Plan: Save Almost Everything and Spend Virtually Nothing” began to open the public’s eyes to this rigorous and attractive lifestyle plan. The article focuses on a Seattle-based lawyer with a goal to retire at 40. She goes about accumulating her desired 2 million dollars by saving 70 percent of her $100,000 income. Her plan is made possible by not spending: the most noteworthy example of buying brown bananas. She deprived herself of many items and experiences in order to meet her goals. The problem with this story and many similar to this is avoiding spending money on food, entertainment, transportation, and other goods in an extreme fashion. Many people cannot sustain this extreme lifestyle, making it a difficult goal to attain. It becomes even more complicated when factoring in family needs and responsibilities. A new parent can’t exactly skimp on diapers, food, and other necessities in order to exorbitantly save. Even if you ascribe to extreme frugality and are able to retire at 40, what happens next? If the whole goal of the FIRE movement is to become independent enough to retire up to 25 years early, what do people do once they have achieved this goal? Sailing around the world, writing a new bestseller, building a home greenhouse, taking up pottery? Well, probably not. See, one of the things that many FIRE followers don’t reveal is that they still work after they retire. This isn’t true for everyone involved in the movement – but it’s worth noting. “Work” for someone who has retired early might look different: blogging, writing commissioned articles and books, consulting, and other activities. While they may not be a chief cardiac surgeon anymore, they are still finding ways to make money. But after saving so religiously, why would people continue to work? That extremely frugal lifestyle they had before retirement would continue into and through retirement based on the money they have. Making 2 million dollars last 45 years or more is actually a difficult task. It would still require one to live in a conservative way. Most people will continue to try and make money so that they don’t have to live that frugal for the rest of their lives. Many forestry and wildlife centers use a technique of prescribed burns, segmenting and controlling a burn of a particular area in order to reduce the risk of wildfires and improve wildlife habitat. What would happen if we applied this technique to the FIRE movement? In a controlled setting, saving more and retiring early can be a good thing. With most of America’s struggling to save, a system that promotes saving is a positive message. But what is missing is the promotion of healthy saving and intentional spending. The FIRE movement is a contentious one in the financial planning world—with vehement opponents and fierce advocates. I like to look at the facts and place those against the goals of a particular person. Each person’s financial needs and desires are different, so having a firm grasp on those is the best place to start. What goals do I have for retirement? What type of lifestyle do I want in retirement? What type of lifestyle do I want before retirement? What values drive my spending and saving habits? These questions are a great starting point to help build a savings plan that works for you. Your retirement lifestyle should be based on the values you have and centered on what is most important to you. No matter what you choose, touching base with a financial planner can help you to create a plan that fits your unique goals. Interested in learning more? Schedule a consultation with me today.